When it's good it's amazing, when it's bad blame the zombies. It's been about a decade since I first watched this, so take my review with a grain of salt. 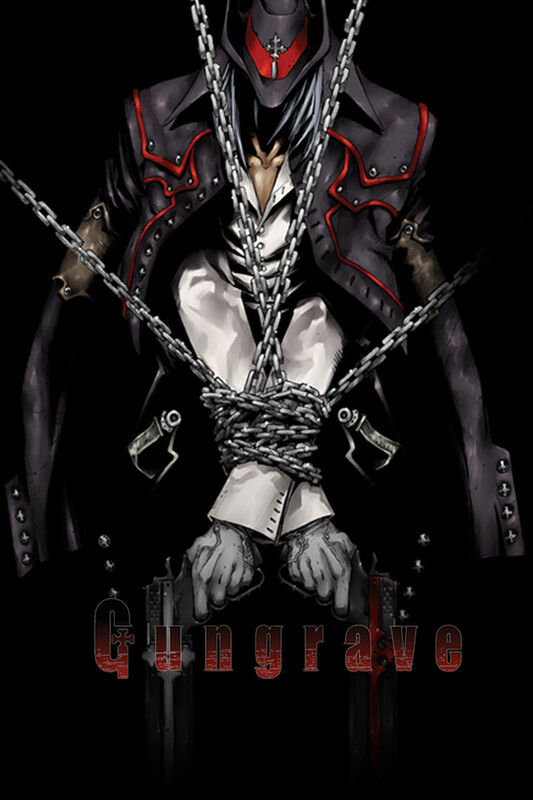 Gungrave is basically "The Godfather" meets "Night of the Living Dead". Everything related to the mafia story is stellar, and everything that is scifi/supernatural is a complete waste of time. I'll give it 5 stars because the characters have depth with great arcs, and the primary plot works phenomenally well. This series is one of the greats, in my view. The characterization of our two main characters makes this show into one of the best I have ever seen. You begin with young men attempting to make do in the slums of some vaguely european themed city. Two of these men in particular are focused on, and through tragedy and sheer luck, they end up joining the equivalent of the local mafia. The series then goes through the years as the two work their way up in the organization. Greed and love begin to tear at the main characters, and betrayal occurs. The series then takes a shift towards being more or less a revenge thriller with supernatural powers taking part, from the original mob drama. I will say that this does seem like a drastic change in tone, but the action is quite enjoyable, and the series shines as a character piece. The interesting parts are the characters. Loyalty and a desire for a better life are explored. The ending is an excellently bitter affair as well, and one that I feel fits the nature of the show perfectly. I highly recommend this show to anyone. It might seem a bit silly at first, but if you can look past the silly parts, it's a gem. While it's unusual for an anime adapted form a video game to bring anything to the table. Gungrave brings it all. The show brings you both a standard old west mob stile action shooter and a Sci-fi zombie/mutant action horror. The visuals are stunning, you simply can't beat the old school, hand drawn art style with attention to detail. The soundtrack is written for the story, not just some fast paced action music slapped on top of an already done show. The character development and plot are intricately woven together to create to create a story that you won't forget. Overall Gungrave is deserving of it's cult classic status and arguably one of the greatest of all time. Watched episode 1. It was too disjointed. Too rushed or contrived. I was liking the atmosphere, but then it got a bit weird. Overall, just wasn't into it. It was just a bit weird. The dystopian environment was beautiful. I liked it overall. I just don't like how weird it is. Maybe if I had more time, I'd watch more episodes. I love this series. What makes it so unique is that you literally follow these characters from teens to their deaths. It's just beautiful to see how the whole series comes together, sad as it is. It's a wonderful series that I have watched many times and own on DVD. For a show based on a simple videogame this anime is pretty decent. It's presented largely as a prequil to the sleeper cult darling PS2 game showcasing how Brandon Heat ended up as a walking bullet sponge and mega stylish arsenal. In the game he never utters a single word but in the anime they do have him speak a little eventually. Yashirow Nightow of Trigun and Blood Blockage Battlefront did the character designs for the game but not the sole writer on this one. Having the same people on music from Trigun also did wonders for the shows atmosphere. All and All I think the game presents an overall better package especially combined with part 2 but the anime is good if you enjoy that sort of bullet heavy organized crime melodrama with some super-natural twists that is presented here.